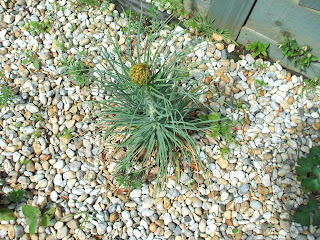 Remember the mystery flower I blogged about? 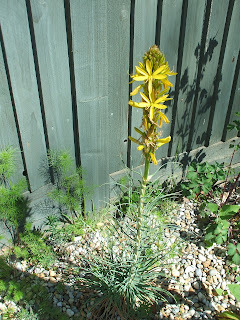 In the intervening fortnight it's grown another foot (in height, sillies, it can't walk) and is now flowering. the blooms shut overnight, open again with the sun. But I'm still none the wiser as to what it is! Last year it was just a nice little architectural spiky plant, I had no idea it was going to shoot up a flower spike - so this is its second year of growth. Someone put me out of my misery? oh I hope so - it's driving me daft! I hope it is the one which grows in your garden!! Oh hurray for Kim - that is exactly the right one! 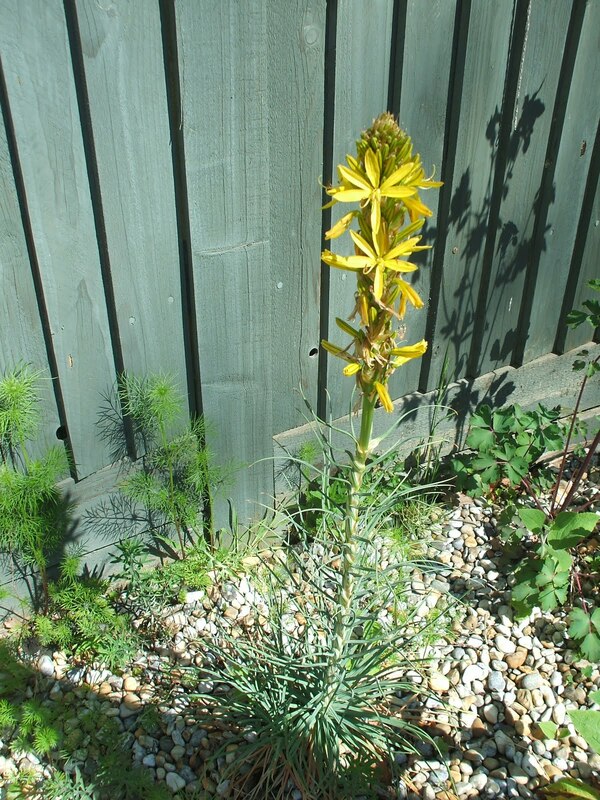 Thank you - I had been thinking how odd that the flowers seem to appear so randomly, not from the bottom to the top like you'd expect - and that is in the description!